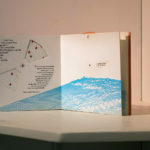 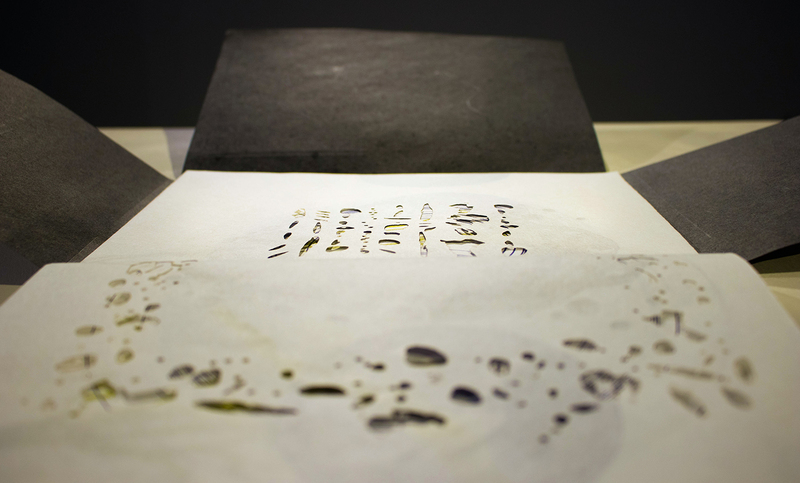 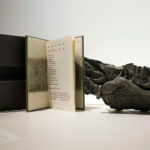 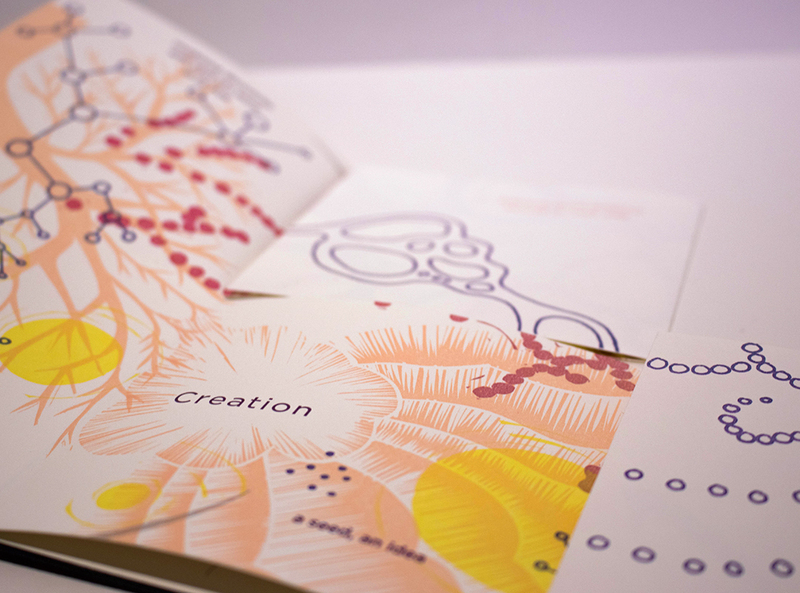 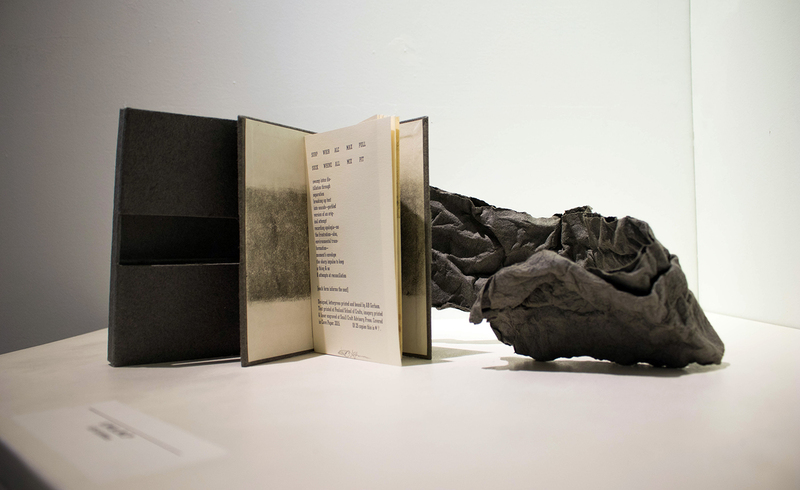 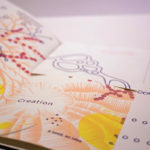 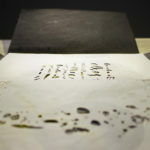 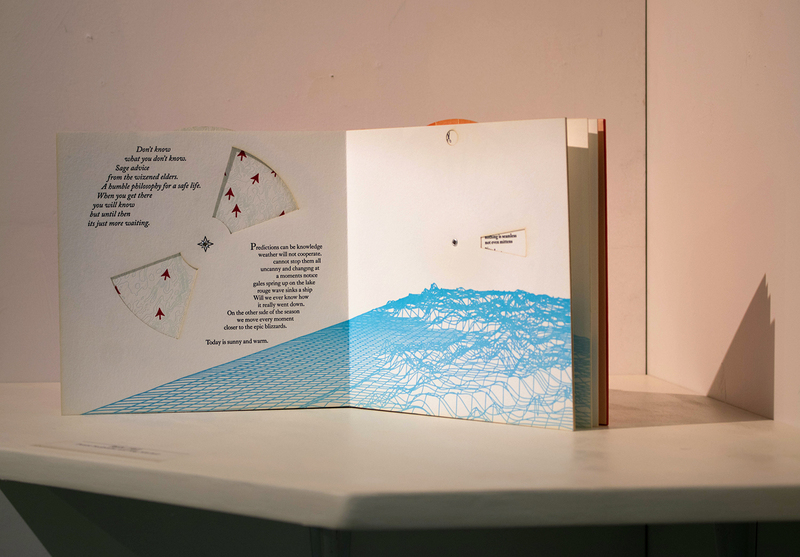 Visitors to the WJB Gallery this month have the opportunity to closely examine an intricate set of artist’s books, a collaborative project developed by Small Craft Advisory Press in conjunction with the College Book Arts Association annual meeting hosted at FSU on January 13 and 14. 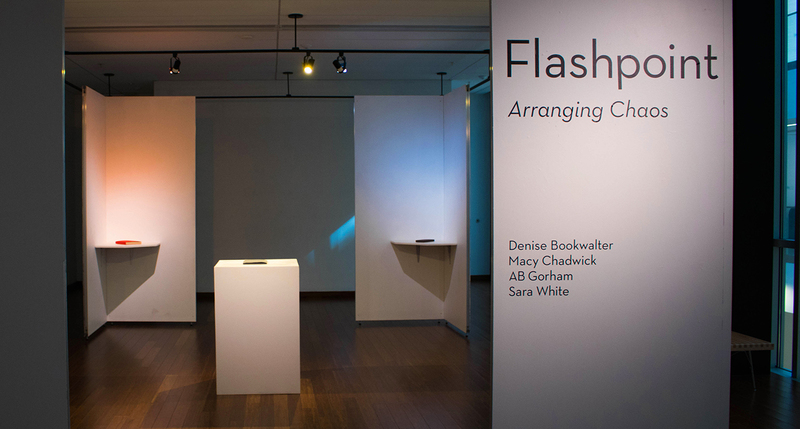 Curated by two of the artists, Denise Bookwalter and AB Gorham, Flashpoint: Arranging Chaos is an intimately arranged exhibition of four individual texts around a central book produced by the group, which also includes Macy Chadwick and Sara White. 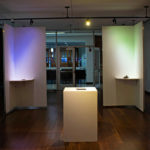 The need for unified yet individualized spaces where visitors could interact closely with each object led to a unique arrangement of the versatile gallery partitions, with slight variations in lighting to set off the four corners of an open square. 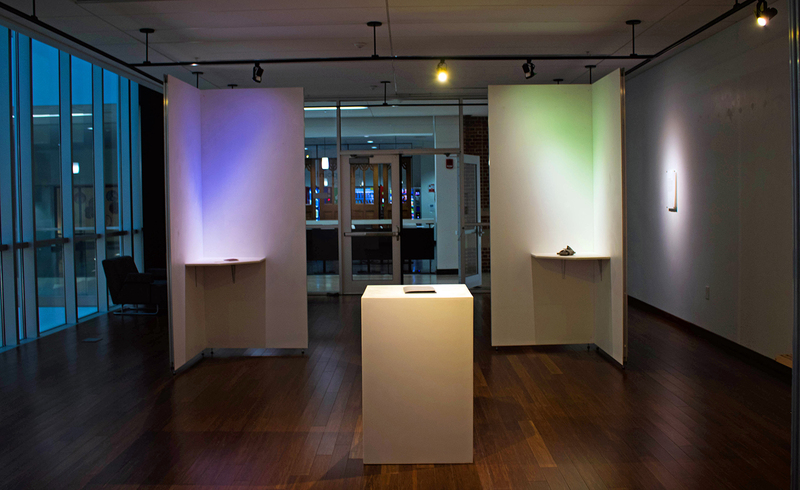 Later this semester, watch for exhibitions of student-designed furniture from the Department of Interior Architecture + Design and, in April, a selection from the Carter Collection of Peruvian ceramics, curated by the undergraduates of the Art History Museum Object class.